CO2 laser skin resurfacing is a maturing technique for skin resurfacing. CO2 laser skin resurfacing causes minimal damage to other skin tissues since it vaporizes skin layer-by-layer. First pioneered in the 1990′s the method has been used to help treat skin blemishes and scars on many tens of thousands of people world-wide. 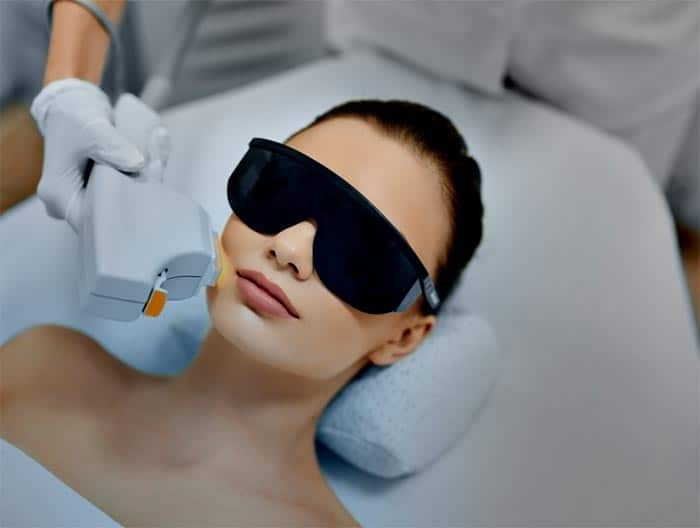 CO2 lasers use short-pulsed light energy (ultrapulsed) and continuous light beams which are delivered in a scanning pattern to precisely remove thin layers of skin with minimal heat damage to the surrounding structures. Recovery time from the procedure is up to two weeks. That is also the reason why for many years carbon dioxide (CO2) lasers have been used in treating benign and malignant skin conditions. While there are numerous benefits of skin resurfacing with a CO2 laser, there are also a few side effects that should be considered. What happens after CO2 laser skin resurfacing? You will probably feel like you have moderate sunburn. There will be visible swelling and redness of the skin and you may also experience itching or stinging after the procedure. A sterile dressing will be applied to the treated areas. Most people should clean the affected areas 2 to 5 times a day with cool tap water saline or a dilute vinegar solution. Followed by an application of Vaseline, Eucerin or Aquaphor ointment should be applied to prevent scab formation. It is important to remember that skin treated with CO2 laser skin resurfacing may react in different ways. If you undertake laser skin resurfacing your doctor will make specific recommendations and issue specific prescriptions and advice. You should listen carefully to that advice and not look to us for post treatment advice! We are only informing you of the advice your doctor is likely to tell you so you can maybe know what to expect and to help to prepare yourself in advance. Most people will be advised to shower at least twice daily and to use a good skin moisturizer after the treatment. As well as to reduce any discomfort due to redness and swelling, the skin may require creams and ointments to keep the skin hydrated. Some people will require other products to reduce hyperpigmentation and reduce skin discoloration. In some circumstances, you may need bandages to cover the treated area(s). These will usually be removed after a few days but until then it’s important to keep them sterile – infection is one of the biggest threats after laser skin resurfacing. You should also probably avoid smoke, smoke filled rooms and smoking whilst in any recovery phase. Ask your doctor to confirm but you will likely be able to wear makeup at around a week to disguise any (temporary) redness or slight discoloring still left from the procedure. As discussed, we’re not here to push laser skin resurfacing in any form. We can see that it does have advantages for many people, but we are also aware that there are alternatives to a not inexpensive treatment to remove facial wrinkles. Let’s start with Botox! Botox is a toxin that is injected just under the skin and works its magic by relaxing the facial muscles leaving the skin with a smoother and more supple appearance. Results can be seen within a couple of days and in the hands of a skilled expert you can look years younger after as Botox treatment and the effects can last up to 6 months in some people. Because Botox is a toxin, it shouldn’t be used on pregnant women, not should it be used on people with any neurological problems. Also in the hands of an unskilled doctor, a botched Botox treatment can leave terrible scarring and facial irregularities, which shouldn’t be taken lightly! Laser skin resurfacing tends to be a longer lasting treatment and because of the enormous startup costs involved in purchasing the laser and computer controllers, it tends to be carried out be qualified doctors and surgeons for whom the necessary training and membership of regulatory bodies is probably small change in comparison!! If you are suffering with skin problems due to scarring or blemishes then the good news is that today there is a greater range then ever of reliable skin resurfacing methods available to choose from. On this website we discuss some of the details of CO2 laser skin resurfacing as an alternative, but we’re not condoning the treatment in any way – the best treatment dpends on you, your skin problem, your circumstances and you should consult with and listen to your doctor, dermatologist or plastic surgeon. Anyway, two alternative and important methods are discussed here. Why Use Laser Skin Resurfacing? This is a maturing technology that involves peeling the skin using a laser beam to literally burn off the very topmost layers of the skin in a controlled manner. Done properly, your skin will grow back within a week, healthier and younger, with the desired reduction in blemishing and scarring. The process is typically carried out as an outpatient procedure and take from a few minutes to over an hour depending on the severity of the skin problem. The procedure is very precise in terms of depth and position and works well on shallow problems including crows feet and wrinkles around the eyes (of course you have to wear goggles!) as well as on the forehead. Laser resurfacing can either substantially reduce or eliminate these types of skin problems. When carried out properly the process is very short and long lasting. For most people the recovery period and typically around a week and the benefits can be felt from a year or more, perhaps as long as five years. Because the method by definition acts at shallow levels, the skin damage tends to be minimal as well, lessening the risk if side effects due to infections, say. Because the procedure is intrusive, there will be some redness, itching and perhaps pain during and after the procedure. The skin may itch or sting for 48 hours or so after the procedure and the redness may last at least a week, but in most circumstances will be able to be explained away as being due to sunburn! n extreme cases, a patient can develop a skin infection and prolonged redness and even some for of permanent facial discoloration and even severe scarring. For this reason the laser skin resurfacing process is not recommended for people who CURRENTLY have skin acne. This is an inexpensive and non invasive method where the skin is basically is given an acid peeland then scrubbed, polished and “scraped” using small crystals to exfoliate the skin. The process can be carried out in less than an hour though usually several sessions will be necessary to see the desired result. The technique is remarkably inexpensive compared with laser treatments though with a session costing typically around the $100+ mark, which is a tenth of the cost of laser treatments that involve expensive treatments and skilled, trained surgeons. The process is normally carried in multiple sessions some two weeks apart with the benefits usually being seen after two or perhaps three treatments. Microdermabrasion is an effective treatment for crows feet, scars left by acne, and spots due to aging, but without the burning and soreness experienced after laser treatments. It also indices a fresh layer of new and healthier facial skin without the short-term side effects in laser treatments that can leave your face red for up to a week. Even if the process is a lot cheaper, less invasive and is still effective for many people there are some groups of people and problems for which microdermabrasion can offer little or no long-term help. It should also be born in mind that if multiple treatments are required than it can work out more expensive than a single laser treatment. As with any medical procedure, cosmetic or otherwise, be sure to sit down with your doctor or health specialist to decide which treatment is best for you. We’re not here to push you either way, but we’d just like to point out that a microdermabrasion session is so cheap, it might be worth giving it a try just to see if it works for you before deciding to consider the more drastic step of laser treatments. Most CO2 laser resurfacing procedures will tend to involve the face, because of its strong before and after effect. Facial skin and the hands probably take the biggest hammering life has to offer in terms of repetitive movements, exposure to sunshine and for some people, cigarette smoke as well. For some of us, diet and hereditary and maybe even genetic factors will play a role on how the skin ages as well. Another phase of life that can damage facial skin is acne; which can leave behind scarring. One thing though – if your acne is currently active, then you can likely forget about facial laser resurfacing because of the risk of infection. Don’t worry though, and talk with your dermatologist or doctor because there is likely to be an alternative treatment for you! Other facial features that people might want to get rid of include shallow scars and others of us may have other facial blemishes such as birth marks, and laser skin can help with both of these. When having facial laser treatment carried out, it should be borne in mind that it is possible to carry out other cosmetic surgery procedures at the same time, such as liposuction laser treatments, whereby excess fat is zapped from the chin and jaw areas, and any excess skin is tightened and toned using a laser resurfacing procedure. Many people will benefit from laser skin resurfacing to smoothen skin and remove wrinkles. It’s well known and has already been mentioned that the procedure is also a sound treatment for mild scarring, effects of acne, birthmarks and other pigmentation defects. 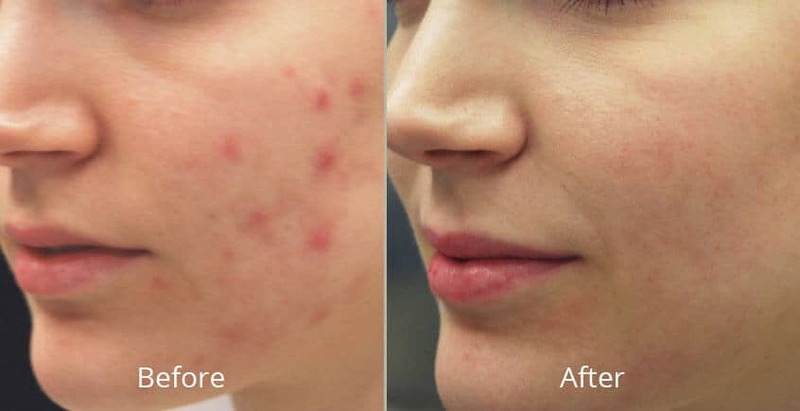 It’s not so widely reported that LASER resurfacing can help with scarring due to chickenpox as well as uneven pigmentation. Weathered skin, damaged by the sun’s ultra-violet rays can also benefit from the treatment. There are some people however, who definitely are not suitable for CO2 laser resurfacing though. If you have allergies and are particularly sensitive to sunlight, you should mention this to your doctor during your consultation. You should also tell your doctor about any viral, skin infections that you’ve has because the laser treatment may make you susceptible to a recurrence of the infection. Also, if you have continuing acne and if you have been using Accutane or other acne treatment in a 6 month or more period prior to any scheduled laser treatment, then your doctor will likely advise you to undergo another type of resurfacing procedure. Those who are prone to keloids (a particular type scarring due to a type of collagen overgrowth) should probably avoid skin resurfacing using lasers. Lastly here, but certainly not least, individuals with olive or dark complexions tend to be more likely to develop a side effect known as hyperpigmentation after undergoing laser skin surgery and see patches of the skin growing darker in color. As we always say, be sure to consult with your doctor, give all your history and listen to his or her advice carefully!!! We’re surrounded by radiation and light. Some light we can see, and some types of light we can only feel the effects on our skin. Many of us will be aware of the effects of invisible, ultra violet light on our skin, and will have likely had sunburn at some point in our lives. Another important type of light is the so called infra-red light, the light that might typically be given off by a glowing heater, warming your skin and body on a cold day. A CO2 laser emits, or gives off light in this infra red region, but does so in a very narrow and controlled way. Not only is the light very tightly focused into a small beam, the light also operates in a very tiny range of “colors” or wavelengths, which means its properties are highly controllable. Recent introductions of so-called fractionated technologies gives a narrower beam allowing the skin to be treated in small islands. The islands of ablated skin help remove wrinkles and scarring, but the untouched surrounding areas help promote faster healing and reduce the risk of infection. CO2 LASER technology is developing all the time, but some things don’t…. One of the important properties of a CO2 laser beam, which is why it was chosen as a medical tool, is the way it interacts with human skin. Human skin tissue is mostly made up of water; nearly 80%. A CO2 laser is particularly good at “burning off” water and hence human tissue. Because this type of laser can only penetrate a short distance into the skin’ less than half a millimetre so that only the outermost layer of skin is removed, known as the epidermis. For this reason, using computer control to scan a laser across the skin means that one can control the penetration depth of the laser to burn off only the topmost layers of damaged skin without the treatment itself leaving scars of its own. Because the strong regenerative properties of human skin and especially the epidermis, the upper layers grow back quickly due to enhanced collagen production. This makes the skin grow back smoother and tighter than before, reducing or even removing some lines and wrinkles – hence the coinage of the term “laser resurfacing”! Most people’s skin will grow back and fully recover after 5 to 7 days, with no pain or very little, using skin moisturizers to help speed up the skin’s recovery. Some types of skin damage and scarring are deeper than the epidermal layer, acne scarring for example, but this isn’t a problem because any initial treatment will reduce scarring and subsequent treatments will improve the skin’s health and looks. Having said all this, there are some types of skin that just can’t benefit from laser resurfacing, which will be discussed later. Another thing to mention is that a CO2 laser is by no means the universal choice of resurfacing. The two most common types are done with either a CO2 laser or a rare earth, Erbium laser. The stronger, more penetrative CO2 laser is probably more effective for tackling scars, birthmarks, and other pigmentation issues such as liver spots. An erbium laser will work well on shallower features because they are less penetrative and energetic and have the added advantage that the recovery period is shorter because there is less damage done to the skin. Erbium lasers are also more commonly used on people with darker or sensitive skin. Not for the squeamish, and not without controversy, LASER skin resurfacing and PRP is a relatively new technique to rejuvenate facial skin. Standard laser skin resurfacing involves firing a CO2 laser at the skin and allowing the shallow beam to partially or completely remove wrinkles, damage and scarring from the epidermis by removing aged or defective cells and allowing regrowth of healthy new skin cells. Alternatively known as laser peeling, and lasabrasion the technique has fast become mainstream almost and is particularly effective at removal of fine wrinkles around the eyes, forehead and mouth. The method of PRP (Platelet Rich Plasma) skin rejuvination uses the body’s own blood cells and concentrating them using a centrifuge to accelerate and perhaps enhance the healing process after laser resurfacing. Firstly the skin area is numbed carefully using a local anesthetic. Then a sample of your blood is removed and after enriching your it via the centrifuge, the platelet-rich blood is injected back into your face using dozens of facial injections some millimeters apart. Then a standard fractional CO2 laser restructuring process is carried out, but the difference is, apparently, that the healing process takes place more quickly and the skin grows back healthier than it would have done without the platelet-rich blood plasma. Most of remember acne as the scourge of our teenage years, particularly the boys among us! Adolescence is a bad enough time, but for some it can leave more permanent scars in the form of facial scarring. Most acne scarring will respond well to over-the-counter treatments such as creams with cortisone and vitamins A and C. These work well for shallow scarring and hypertrophic scarring caused by excess collagen production, but for some these treatments aren’t effective enough on deeper scars, and facial laser resurfacing might be an option under consideration. For the deepest form of acne scarring multipleskin resurfacing treatments may be required. It should be born in mind though that unless you are advised otherwise by your doctor, it is unlikely you will be able to undergo laser resurfacing if your acne problem is still ongoing. You’re probably here because you’ve heard about the wonders of laser skin resurfacing and want to find out more about it. Skin resurfacing is commonly used by plastic surgeons to smooth the skin and can involve chemical peels, dermabrasion, and of course laser skin treatments. The latte procedure is growing fast as an alternative treatment to get rid of facial lines and wrinkles, spots due to aging and sun-damaged skin. 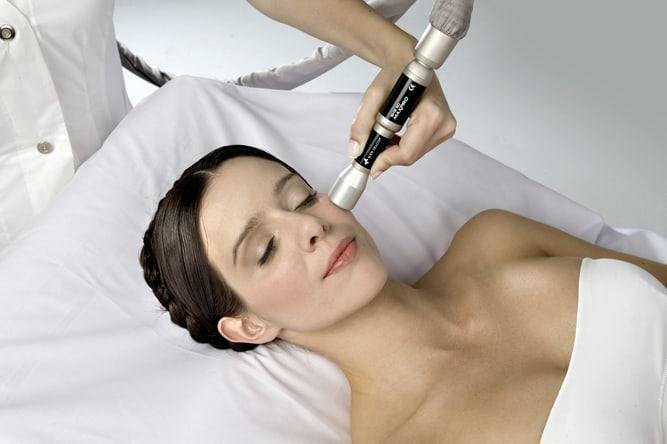 Laser resurfacing can help with a whole host of skin conditions, discussed in more detail here. Here’s a summary list of questions and answers to give you an overview of the skin resurfacing process, how it works, who can benefit and any side effects. The procedure involves a short, controlled burst of energy from a CO2 laser beam fired at the skin and usually at the face. The laser beam is moved across the face removing unwanted features via a controlled scorching of the upper layers of the skin using a process known as laser ablation. A CO2 laser is strongly absorbed by water present in the top surface of the skin, which means that only the top layers of the skin are removed in the process. The healing nature of the skin means that a smoother, healthier later of skin quickly grows to replace it. 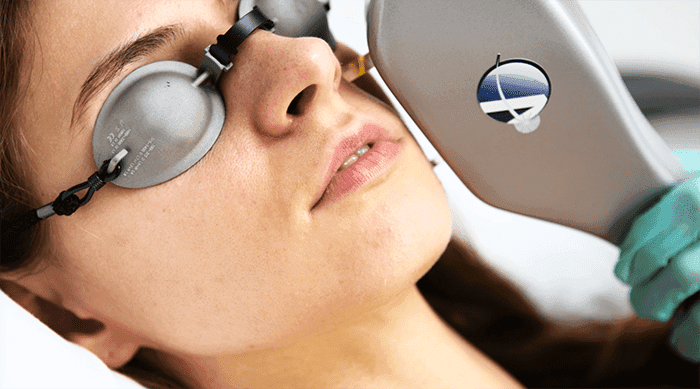 The laser is computer controlled and operates under the direction of a skilled surgeon and is usually done on an outpatient basis with followup appointments. Laser skin resurfacing is a relatively new procedure for cosmetic surgery that in principle can offer a quicker recovery time than other treatments because there tends to be less bleeding and bruising. Not all plastic surgeons are qualified or even trained on the procedure though. It’s important to find a certified surgeon with the necessary experience and proper facilities at an accredited medical institution or hospital. Once you’ve read through the pages of this web site, you’ll no doubt have a list of questions to ask your doctor such as cost, effectiveness, any risks and side side effects and of course you should ask to see some previous patients’ work. You might want to consider taking a friend with you. Keep in mind, too, that a lot of medical spas now offer these treatments as well. They are often performed by nurses in these facilities, not surgeons. How long does the resurfacing procedure take? This can vary a great deal according to the nature of the skin problem and its recommended treatment. The shortest time for the most gentle of skin resurfacing can be as short as a few minutes! For more difficult and involved procedures, covering a larger area of skin tissue can last over an hour. For treatments involving deeper than average skin imperfections, you may need to repeat the procedure at a later date. It’s not uncommon for serious skin blemishes to involves mutiple treatments of two or more stages. Most of the time the procedure will be carried out using a local anesthetic in combination with a sedative to help you relax. You will be awake during these types of procedures and there should be a minimum of discomfort. For a more involved procedure then your doctor may elect to utilize a general anesthetic ie you will be out for the whole process. Whatever anesthetic is used, local or general, you should have a friend drive you home or back a taxi due to grogginess and other side effects. Not normally. As mentioned, the process is carried out on an outpatient one so most people can go straight home taking the usual care and precautions; discussed later. Rarely, and if you are having skin resurfacing in combination with other treatments, your doctor may recommend you stay the night in hospital for observation. Most people having undergone laser skin resurfacing can resume their lives after a week or so with only some mild redness to show after the process. As with any mild burn or wounding, it is possible to develop complications. The most important thing with any such wound is to keep it clean to avoid infection, to stick to the guidelines treatments and procedures issued by your doctor, and to contact your doctor at the first signs of trouble. Despite everyone’s best intentions though, complications can set in, and you should be aware of these and ask your doctor about them to alleviate any concerns. Some complications are relatively minor and can be easily dealt with. Any signs of milia or small white bumps in the affected area can usually be removed with a damp towel. Some patients will have accelerated or decreased pigmentation areas in the treated region. These can be bleached or covered in makeup until even colorisation returns. Others may suffer bacterial infections that can be treated with antibiotics, and some doctors will issue antibiotics in advance as a precaution against this happening. Also if the treatment is carried out near the mouth, it’s possible that you could have a reoccurrence though anti viral medications can help prevent this happening. For similar reasons people with lowered immune systems should talk to their doctor about this. Finally scarring is possible though it is comparatively rare when all procedures are carried out properly. There are two main groups of people who can benefit from cosmetic skin surgery involving CO2 laser resurfacing; people (like us) who are experiencing the ravages of age, and people who have developed marks, scars or blemishes on the skin including acne. The aging process causes its own damage to our skin, which can be exacurbated by exposure to sunlight (UV light) as well as smoke and other harmful substances. The main, visible problems with the skin include a loss of elasticity, an increased roughness and a thinning of the skin leading to more pronounced lesions and blemishes. There are a number of skin issues that can cause people to be self-conscious about their skin and appearance. Scarring and blemishing are always an issue for many people whether they be due to the after effects of acne and other types of scarring. Other types of problems including pigmentation blemishes such as birth marks and skin flecks. Just because a problem isn’t listed here, it doesn’t mean that there’s no help for it! Also, sadly, just because a problem is listed here, it doesn’t mean that you can benefit from the treatment if it isn’t appropriate for you. Either way you have to ask your doctor. CO2 laser resurfacing treatment can help with any of these to some extent, depending on the severity of the issue. Don’t worry though, even if this procedure can’t help you with your own problem, there is always a solution of some sort – what we’re trying to establish with your here is whether laser resurfacing is the best treatment for you. At the end of the day, yes you should listen to your doctor or surgeon, but the final decision is up to you! Don’t Want to go Laser Treatment? Try this!